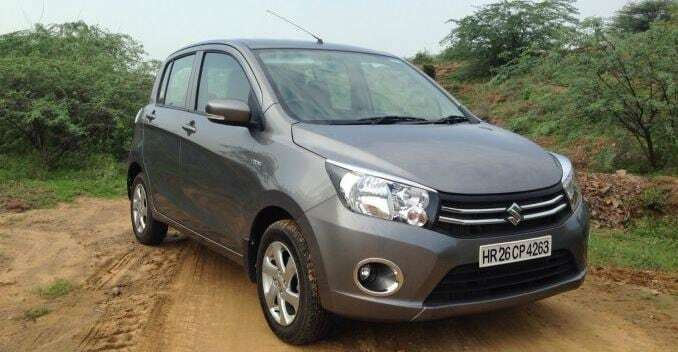 It's a diesel engine that means a lot not just for the Celerio brand but also for Maruti Suzuki as they now have in-house capability to design smaller, fuel-efficient engines. 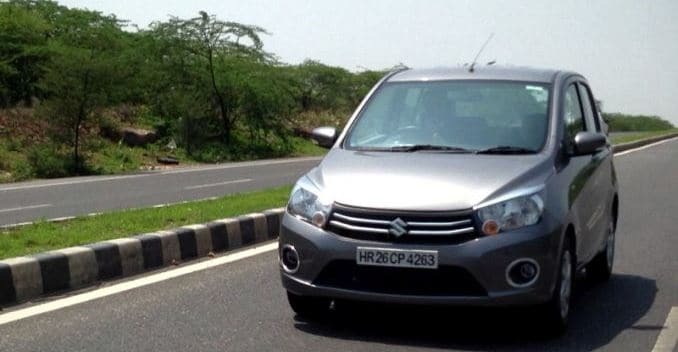 Which means in the future, the likes of Alto and other small Maruti hatches could get the different tunes of this DDiS 125 and so the Celerio diesel will have a lot to prove.Of course the AMT gearbox on the Celerio caught the attention of the Indian car buyer but the diesel will spark further interest. Let's start with the X factor - an ARAI certified 27.62Km/l - making it India's most fuel efficient car. Fortunately the number of discerning customers in this segment is growing and so an impressive fuel economy number has to be backed by decent driving dynamics. Start the engine and the diesel engine doesn't really inspire much with the clatter that it's greets you with inside the cabin. Slow off the block, you have to wait a bit before the the engine gets into elements only past 1800 rpm till about 2500 rpm with good low end and mid range torque on offer. So ambling through city traffic in third gear is what this engine does best and you will have little to complain. But rev it hard past 3000 rpm, the engine feels less refined but is quite responsive to get to higher cruising speeds. We decided to turn up the radio to drown out the engine noise and surprisingly it did help. A closer look at the DDiS 125 engine reveals a 793 cc, all-aluminium, 2-cylinder unit churning out 47bhp at 3,500 rpm and a healthy 125Nm of torque at 2,000 rpm. The 5 speed manual gearbox offered quick shifts and the mid range torque of offer ensured we didn't have to downshift too often in stop go city traffic. So after spending some time with it, we realized relaxed city driving was the car's main capability and so don't expect any spirited driving character from this engine. While refinement might be an issue, the one area where Maruti gets it bang on is the suspension setup which is perfectly tuned for patchy city roads. 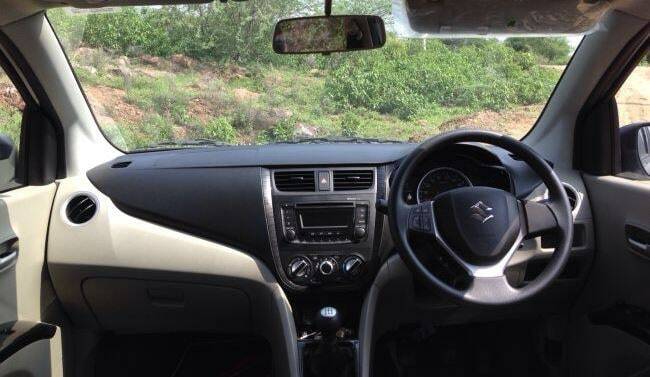 The slightly heavier diesel engine isn't a bother on the suspension as the Celerio feels agile and handles quite well. The steering feel could have been better especially at higher speeds on the highway. 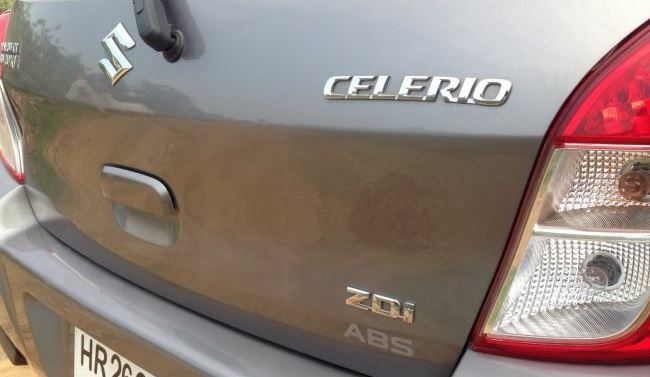 There is no exterior or interior changes on the Celerio except for the DDiS badging. Maruti claims the body has thicker material on it to offer better NVH levels inside (maybe one more layer of that could help). While the cabin does look modern, some of the switches need some work on quality. Bluetooth is a welcome addition but the phone controls on the steering wheel refused to work on our test vehicle. But what we truly enjoyed was the roomy felt to the cabin with lots of space on offer both in the front and rear seats and even the boot. So while the new diesel motor is a good first attempt by Maruti with the impressive fuel efficiency but we do wish refinement and performance got some attention. Currently the only real rival for the Celerio diesel is the Chevrolet diesel but if you can stretch your budget, the Hyundai Grand i10 diesel might also be an option. So while the impressive fuel economy will be the talking point, the overall package with good space and features is what will make the Celerio diesel an attractive buy.